Rejuran Healer is an anti-aging and skin healing treatment that originates from South Korea. It contains Polynucleotide (PN). PN is an upgraded form of Polydeoxyribonucleotide (PDRN). PDRN has already been around for a while and has been widely used as an anti-aging treatment due to its potent skin healing and skin rejuvenation properties. Rejuran Healer is also sometimes known as 婴儿针 and Rejuran skin booster. 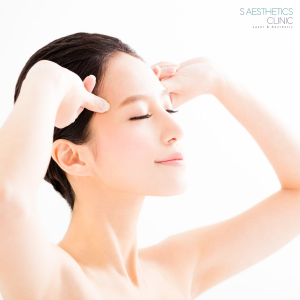 The procedure improves your skin health naturally by fundamentally improving physiological condition of the inner skin resulting from delivering PN directly into the inner skin layer (dermis layer). What is Rejuran Healer Polynucleotide (PN)? Rejuran Healer contains Polynucleotide. A Polynucleotide molecule is a biopolymer composed of 13 or more nucleotide monomers covalently bonded in a chain. It is extracted from salmon DNA fragments. Why Salmon? Salmon DNA is known to have the most compatibility with the human. The use of PN in skin rejuvenation is mainly based on its potent wound healing and anti-inflammatory properties. Many studies have shown that PN stimulates wound healing and cell growth. These molecules have been proven to stimulate long-term skin regeneration from within the inner skin layer, therefore improving skin elasticity, skin health and restores skin damage caused by harmful UV rays and ageing. Rejuran Healer treatment involves a series of micro injections. Rejuran droplets are placed meticulously in the inner skin layer where they work best. The procedure takes about 15-30 minutes only. Patients who have had skin boosters done before are already very familiar with this treatment method. Rejuran Healer treatment is very tolerable. Numbing cream is applied prior to treatment to minimise any discomfort. Local anaesthesia painkiller can also added to reduce discomfort further. Rejuran Healer has already been cleared for safety and approved to be used as an anti-aging treatment. PN is very gentle to the skin. Adverse reaction to the material is rare. Right after treatment, you will experience some needle marks, redness and bruising which will resolve very quickly. Individuals with damaged skin related to sun, ageing or acne and acne scars will benefit greatly from this treatment. An initial course of 3-6 treatment, 3-4 weeks apart is recommended for optimal results. After the intensive course of treatment, you can repeat the treatment every 4-6 months to further maintain and enhance your skin quality. Rejuran Healer is already a powerful skin rejuvenation treatment on its own. What are the benefits of Rejuran Healer? Rejuran Healer is a very potent and advanced skin rejuvenation treatment that offers multiple benefits to your skin. The procedure is quick with minimal discomfort and downtime, and the result is long lasting. How is Rejuran Healer different from Skin Boosters? Rejuran Healer and skinboosters are both administered in a similar way. However, they are very different and they function differently. As mentioned earlier, Rejuran Healer contains polynucleotide. It promotes collagen synthesis, skin regeneration, skin healing and repair. It is primarily an anti-ageing treatment that also helps in improving skin texture and acne scars. On the other hand, skin booster contains hyaluronic acid. Hyaluronic acid improves skin primarily by moisturising the skin from within. This subsequently improves the general quality and health of the skin. It is important to note that the end point of these two treatments is the same – healthier, younger skin. By combining Rejuran Healer and Skin booster treatment, they work very well synergistically to promote skin rejuvenation and health. How much does Rejuran treatment cost? Rejuran healer treatment is $588 (GST inclusive) per treatment. For details of the pricing, please contact us directly. * The outcomes and results of this medical procedure may vary from person to person. Outcomes and results may not be guaranteed.